Get the basic information from our tutorial that embraces all main concepts necessary to start trading efficiently. The latest analytical materials are at your command as well. Experienced experts at Claws&Horns master the art of analysis as no one else. 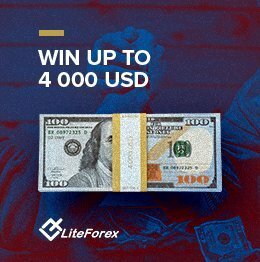 All sorts of analysis, latest forecasts, unique reviews, expert opinions and many other analytical materials that are indispensable to trading success are now freely available to LiteForex's clients. The material published on this page is produced by the Claws&Horns Company jointly with LiteForex and should not be considered as the provision of investment advice for the purposes of Directive 2004/39/EC; furthermore it has not been prepared in accordance with legal requirements designed to promote the independence of investment research and is not subject to any prohibition on dealing ahead of the dissemination of investment research. Step up the level of your trading! Discover new trading prospects with the Social Trading platform.